Smart NC-100 (SNC100) technology provides most of the benefits of NC controlled saws at a mere fraction of the cost. SNC100 controls are programmable up to 100 different jobs including quantity and length of cut. The control automatically compensates for Kerf loss after datainput and requires no manual calculation of number of times to index. 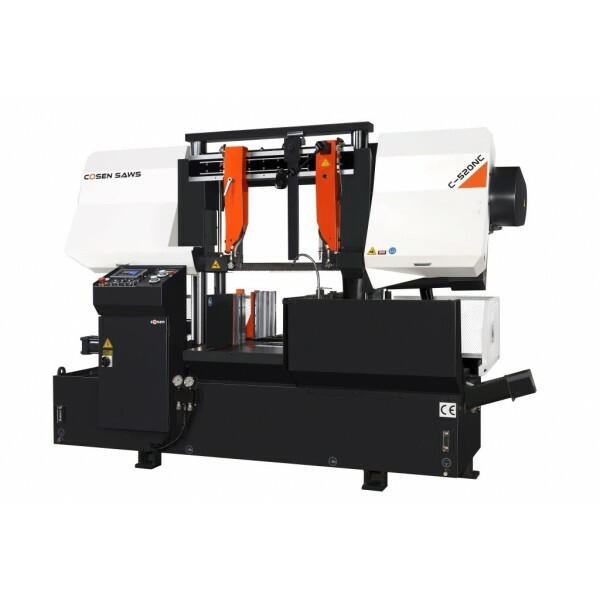 Rugged, Dependable, and Advancd Technology, are all words that describe every Cosen SNC-100 Series Sawing Machine.